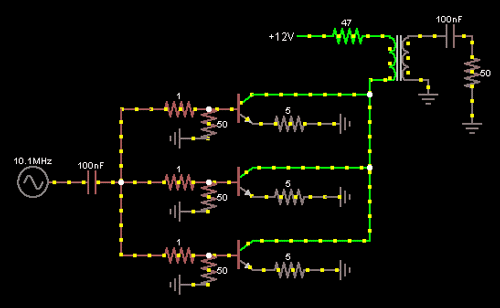 I have seen several different pictures and schematics of some small signal transmitters that are using parallel NPNs to get 500-900mW of power. I keep running into these examples and they make me wonder. I decided to try to put it into a simulator to see what it looks like.